Is the Rock-N-Reno 55 Division playing in Carson City for sure? Just wanting to make sure my stay is in the right place. That league is not senior except for the 5 run rule. No senior bats no sliding. ASA rules not competitive enough for most tournament players. Plus they have a co-ed line and no five man allowed. If our first game is at 9 A.M. At Golden Eagle, and we are the first game. Are we able to set up our screen on that field to the side and take BP before the game? Staff That is to bad you are stuck in a contract, because i am sure that other states would be more than willing to do the same. Speaking for myself, it would be nice to travel to a new destination each year for T.O.C. if we made it. After going to the T.O.C. Florida, I would like to make a suggestion. Pick a different state every year to hold the T.O.C. Does not have to be a curtain date. Pick dates that coincide with great weather for each state. this way people can either afford it more easily or get to visit different states of our united states. Again it is an honor to be selected to the T.O.C. so dates do not matter. you plan accordingly to weather during the year. From Talking to other teams I get the since that a lot of teams will not come back after the first time do to expense and condition of most of the fields. So maybe consider this Unless there is a huge kick back from Florida. Fresno Heat 55's AAA ca. is looking to add 6 guys to our roster for 2018. If you are turning 55 in 2018. we are looking for good outfielders and 3rd base.We are a travel team, so must be able to pay your way, plus uniforms. 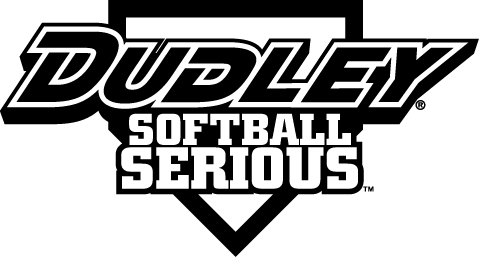 we will be having a tryout January 7th 1pm Quigley Park Fresno. So Bring your skills. Call or E-Mail Ken we will play in 14 tournaments next year. Would like to know which 55 AAA are going to T.O.C. Florida feb 2018? Discussion: 55AAA CALIFORNIA LOOKING FOR 3-OUTFIELDER FOR T.O.C. 55 AAA TEAM LOOKING FOR THREE MORE PLAYERS OUTFIELD PREFERRED BUT IF CAN PLAY INFIELD AND OUTFIELD THATS OK TOO. THIS WILL BE FOR THE T.O.C. IN FLORIDA. Any Fields set for the teams yet in sacramento? Needing outfielder for Nor-Cal state tournament.